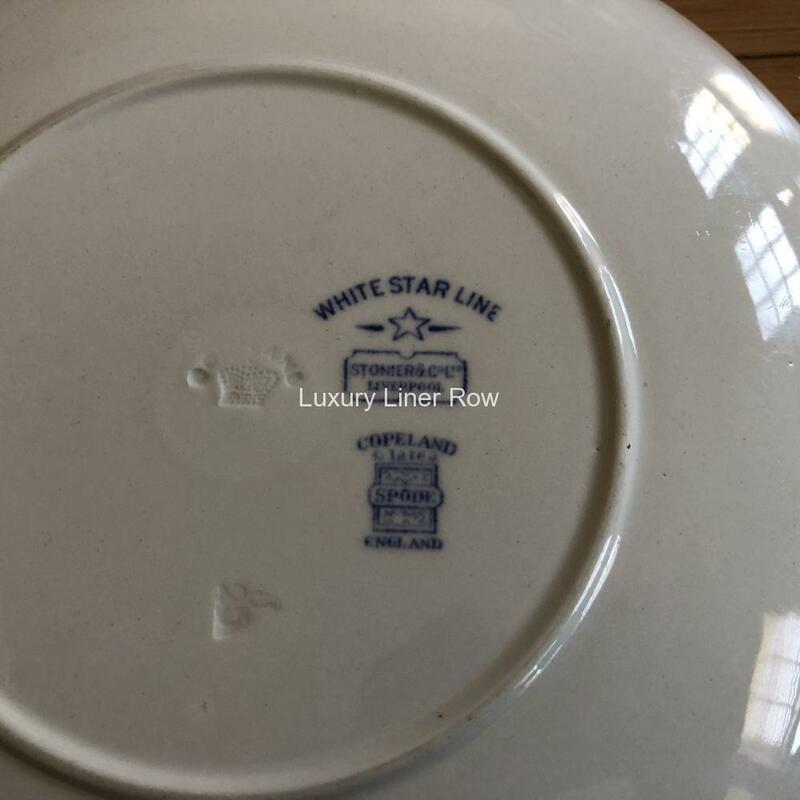 One of the prettiest White Star Line china patterns ever made. From first class and dating to 1925 according to the mark in the clay on the back. 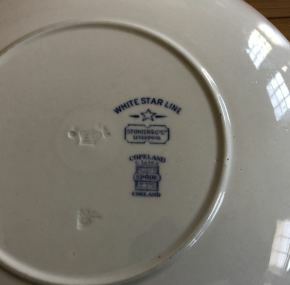 Made by Copland Spode and sourced by our friends at Stoniers, it is quite well marked with the OSNC (Oceanic Steam Navigation Company) logo on the front and White Star Line on the reverse. 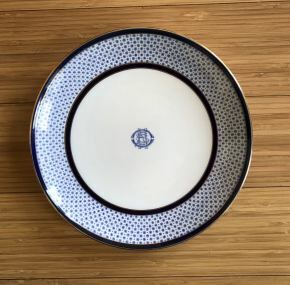 It is a real highlight to any White Star collection, and even 25 years after I first saw this pattern, my first thought when I see an example in a collection is “Oh, you have a Snowflake plate. How choice!” I have heard a rumor that only 8 or so of these exist. I am not sure about that as I have had 3 over the years, but they certainly are rare. 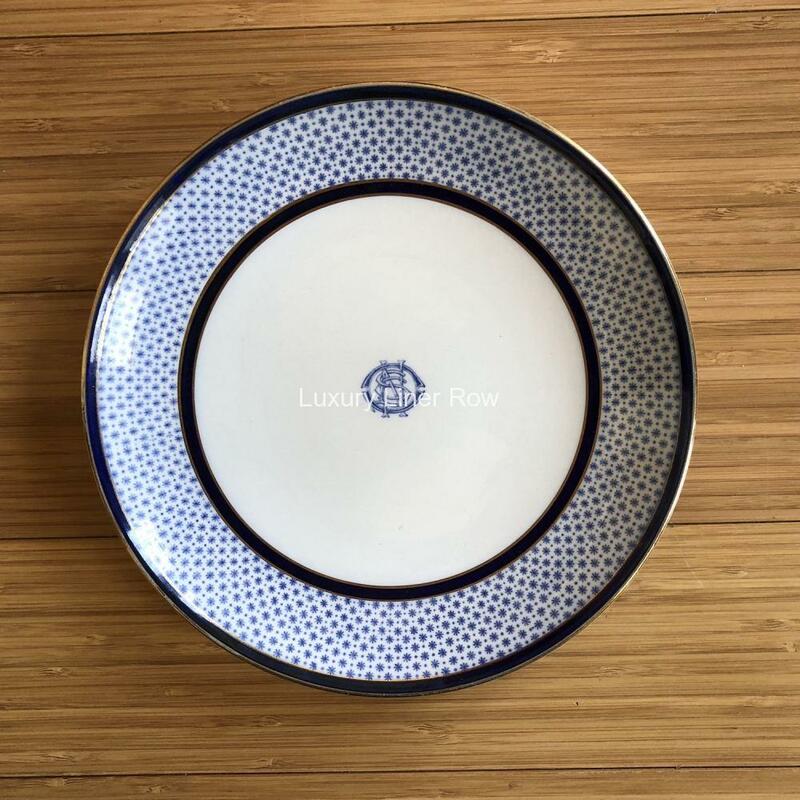 In excellent condition and measures about 8″ in diameter.